This reading group guide for Things You Won’t Say includes an introduction, discussion questions, ideas for enhancing your book club, and a Q&A with author Sarah Pekkanen. The suggested questions are intended to help your reading group find new and interesting angles and topics for your discussion. We hope that these ideas will enrich your conversation and increase your enjoyment of the book. From the author of acclaimed bestsellers The Best of Us, Catching Air, and The Opposite of Me comes a timely, provocative novel that introduces us to a family in crisis after a tragic shooting. Jamie Anderson knows her husband, Mike, is a good man, but when his partner of many years is shot before his eyes, Mike experiences an emotional trauma that seeps into his personal and professional life. Perhaps returning to work a bit too early, Mike finds himself in the middle of another shooting—except this time, he’s set off the gun. The shooting catapults the family into collision and all must come together to help prove Mike’s innocence. Things You Can’t Say is an openhearted exploration of true-to-life relationships that is as complex as it is captivating. 1. Early on in the novel, Jamie feels her husband Mike slipping away: “No matter how hard he tried to exhaust himself, though, the nightmares persisted, and with every passing day, Jamie felt as if her husband was withdrawing a bit more, an invisible casualty of the shooting” (page 5). How does Jamie try to get Mike to open up to her? What did you think of her strategies? As a group, discuss what you think she could have done differently. 2. Jamie, Lou, and Christie are three very different women. Which of them do you identify with the most? The least? Are there any personality traits exhibited by any of these women that you wish you had—or are grateful you don’t have? 3. Parenting is a major theme in the novel. At one point, Christie says of Henry: “He wasn’t just the most important thing in her life, she thought. He was the only thing she’d ever done right” (page 117). Do you think Christie, Jamie, and Mike work well together in co-parenting Henry? Do you think it’s ever stressful for Henry to split his time between two very different households, with two sets of rules and expectations, or do you believe most children are adaptable? 4. On page 169, Jamie remembers her mother: “Her primary allegiance was to her husband, not to her children, which Jamie now understood wasn’t an uncommon family dynamic a few decades ago.” Has this dynamic actually changed? Do you know many mothers who would put their children before their husbands? Do you think parents today tend to be too involved in their children’s lives, or is close scrutiny necessary because of the advent of the Internet and other dangers? 5. Further to the question above, Jamie and Lou experience the loss of their mother differently. Discuss how her death affects their relationship as siblings and as individuals. Do you think Jamie ever resented having to take care of Lou? Over the course of the novel, how does their dynamic change? 6. What do you think of the title, Things You Won’t Say? How does it relate to all of the characters in the novel? What “things” do the characters avoid saying? Do you think this title fits the novel? 7. Henry learns about the shooting via text messages, YouTube, and other forms of social media. Discuss how you would handle interference by the media if this were your family. What could Mike and Jamie have done differently to help the kids, especially Henry, cope with the situation? 8. Communication, or lack thereof, is a major issue among the family members. On page 110, Christie expresses that she’s hurt to not have been “included in the family crisis.” Discuss the communication issues between Jamie and Christie, Christie and Mike, Jamie and Mike, and Lou and Jamie. Is there someone in your life you find it especially difficult to communicate with? Is there anyone in your family who seems to be the “designated communicator”? Why do you think they are in that role? 9. Compare Lou’s breakup with Donny to Christie’s breakup with Mike. Do you think either relationship could have worked out, had the circumstances been different? Do you think Christie truly fell back in love with Mike, or was he more appealing to her because she didn’t think she could have him? 10. Discuss the scene in the mall with the stranger who verbally harasses Jamie on page 225. Do you agree with how Jamie and Lou handled it, or do you think they risked making the man more upset and angry and possibly escalating the incident? Do you tend to fight back when challenged, or do you prefer to walk away? 11. Christie and Jamie have a relatively strained relationship. Did you find yourself sympathizing with one woman more than the other? Who do you think was more at fault for the issues in their relationship, or do you believe that both women were doing the best they could? 12. During her press conference, Lucia Torres says, “ None of us mothers expect to be here, before news crews, talking about our kids whose only crime was to be brown or black” (page 149). Do you agree with Jamie’s reaction? If you were to read this scene through Lucia Torres’s eyes instead of Jamie’s, what do you think she would have gone through emotionally during her press conference as the mother of the slain boy? 13. Discuss this interaction between Mike and Jamie on page 264: “‘When did you stop believing in me?’ he asked. She blinked and looked up at him. His gaze was steely, but it flickered away a second after she met his eyes. It was as if he could hardly bear to look at her.” Why is it hard for Jamie to believe there was a gun? Would you have believed your spouse in this case? Why is Christie so quick to believe Mike? 14. Discuss how Mike and Jamie’s relationship changes over the course of the novel. Is their marriage weaker or stronger by the end of the book? 1. Consider reading one of Sarah Pekkanen’s other novels, such as Skipping a Beat or The Best of Us, for your group’s next meeting. Compare and contrast the different marriages in each book. Discuss how different settings, extended family members, and outside stresses can affect a marriage. 2. Spend some time researching contemporary cases of alleged police brutality, such as the Ferguson shooting, or consider the Trayvon Martin case. Discuss the evidence, families and individuals involved, and judicial outcomes. 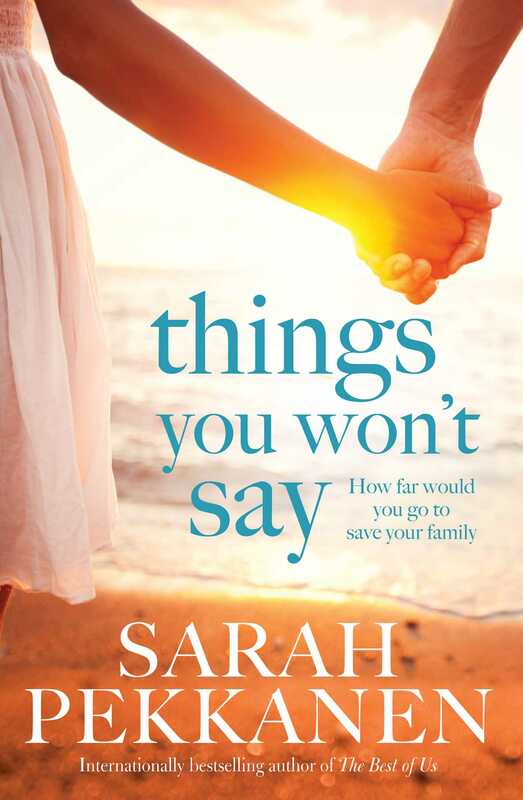 Compare the fictional details Sarah Pekkanen creates in Things You Won’t Say with real-life cases. 3. Watch Fruitvale Station as a group. Compare and contrast the experiences of the two families. Discuss the issues of evidence, character witnesses, and familial involvement that you see in both the film and Things You Won’t Say. Q: You cover some timely issues in this new novel. What was the inspiration for this book? A: Fifteen years ago, I was a new reporter for the Baltimore Sun newspaper. One of my first big assignments was to write an article about police officer Harold Carey Jr., who died in the line of duty. As I conducted interviews, the story that unfolded stunned me: Minutes before his death, Harold had been eating breakfast with a group that included Officer Lavon’De Alston, a close friend who’d encouraged him to join the force. Then a summons came in from their dispatcher: An officer was in trouble a short distance away. Few calls inspire such urgency among the brothers and sisters in blue, and the officers sprinted to their vehicles and sped, sirens blaring, to help. At an intersection a couple of blocks away, the van being driven by Harold’s partner collided with the cruiser being driven by Lavon’De. Harold died at the scene. Lavon’De, who was badly injured in the crash, was devastated. She couldn’t sleep. She couldn’t stop thinking about Harold, the big, lovable man who’d nicknamed her “Shorty” and gobbled the rest of her pancakes when she couldn’t finish them. Her anguish—as well as her sensitivity and strength—made a deep impression on me. It was wrenchingly unfair: How could this happen to a police officer who was committed to helping people, to doing good, to saving lives? How could she endure the pain and guilt? Although the circumstances in my novel are different, my newspaper article “Officer Down!” was the inspiration for this book. Q: Did cases such as the shooting of teenager Michael Brown in Ferguson play into your decision to write this book? How do you handle this issue with care in a fictionalized setting? A: No. My deadlines require me to turn in my manuscripts a full year before publication, so Things You Won’t Say was already in the copyediting stage when Michael Brown was shot to death by a police officer in Ferguson, Missouri. I did ask the copy editor to add a brief line referencing the Ferguson shooting before my novel went to press because a white police officer shot Michael Brown, who was a black teenager. In Things You Won’t Say, Michael Anderson, a white police officer, shoots Jose Torres, who was an Hispanic teenager, and some of the questions that arose for characters in my book—Would Anderson have fired if Jose Torres had been white?—echoed some of the questions swirling around the Ferguson case. My characters and their feelings are imaginary. My book is fiction. That said, I don’t believe authors should shy away from tackling controversial topics. There were several possible endings for my book. As a novelist, I tried to choose one that was gripping, thoughtful, and unexpected. Obviously, it should not be viewed as reflecting any personal opinions I have on similar cases in our country. 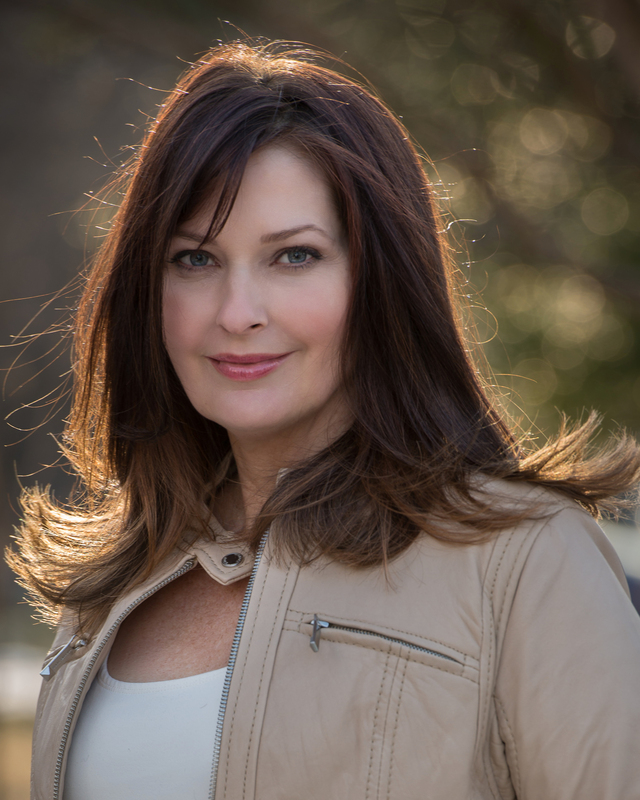 Q: Why did you decide to have Jamie Anderson, the wife of the accused police officer, be a narrator? A: I’m always curious about the stories behind the headlines. When we hear about a politician being charged with something untoward, I immediately think of his or her family. The spouse and children are often invisible casualties. It’s the same with a police officer, or minister, or doctor—or anyone else accused of a crime, whether or not they are high profile. The ripple effects are deep and wide-reaching. I wanted to explore the private emotions of a wife who was desperately trying to hold her family together in a very public crisis, so I knew I had to give voice to Jamie. Q: Jamie’s sister, Lou, is also a narrator. Why do you decide to include her point of view? A: Lou is someone who is more comfortable around animals than people. When disaster strikes and Jamie needs her help for the first time, Lou has to find a way to break out of her small, contained life and support her big sister. I gave Lou the job of an elephant keeper at a zoo. As a vegetarian who has two beloved rescue pets, I understand the debate about whether certain animals--or any animals--should be kept at a zoo. Yet as a former journalist, I’m also compelled to try to understand both sides of any issue. I don’t think I could have written about Lou if her elephants were forced to live in cramped conditions, but Lou works at a zoo where there are miles of trails for elephants to roam. I talked to a few zookeepers during my reporting for this novel, and was struck by the deep love they felt for their animals. They don’t earn much money, and they work long hours. I came away convinced that the keepers I spoke with cherished the animals in their care. Still, I personally believe the debate is an important one and that all animals deserve humane, stimulating, and spacious living conditions. Q: Do you plot out the ending of a book before you write it? A: I knew the broad outline of Things You Won’t Say, but some of the twists and turns were unexpected, and for me, that’s the best part of writing. Q: Is the ending of your book intended to be hopeful or tragic? Mike Anderson, Jamie’s husband, was a good cop. A fair cop. An honest cop. I personally believe most police officers are like Mike. Yet, as in any profession, bad and corrupt officers exist—and although Lucia is a fictional character, I also believe her statement has the unfortunate ring of truth. SPOILER ALERT: Although Mike was exonerated when it was revealed Jose had a gun, Mike was the one who recognized that the police—and, in a larger sense, our society—did, in a way, cause Jose’s death. Jose was wary of police officers because of his prior experience. He was terrified, and didn’t intend to hurt anyone. He was trying to defend himself. Because guns are commonplace in the United States and frequently land in the wrong hands, police officers are often afraid for their lives, too. The issues I tried to explore are troubling and complex, and in this case, I wanted to convey that no one—and, at the same time, everyone—was responsible for Jose’s death. Q: What’s in store for you next? A: I’m happy to say I’ll be publishing a book a year through 2018 with Atria Books. I’m currently at work on my next manuscript, but I always love to hear from readers. You can find me on Facebook or Twitter, or you can contact me via my website, www.sarahpekkanen.com. Sarah Pekkanen is the bestselling author of The Ever After, The Opposite of Me, Skipping a Beat, These Girls, The Best of Us, Catching Air, Things You Won’t Say, and The Perfect Neighbors. Her work has been published in People, The Washington Post, and USA TODAY, among other publications. She lives with her family in Chevy Chase, Maryland.